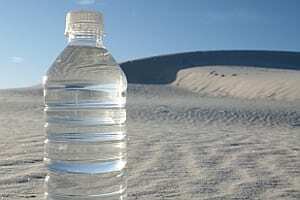 What moves faster than bottled water in a desert? The world’s fastest, smartest serial console! If you’re planning an upgrade, refresh, or new deployment of serial consoles, there’s never been a better time. We designed and built NodeGrid Serial Console using the latest available hardware and software technologies. The world’s fastest serial console switch packs more storage and memory, plus many other valuable features, than any competing product from Avocent/Emerson, Digi, Lantronix, Opengear, Raritan or Uplogix. We invite you to test drive our new NodeGrid Serial Console. NSC is not only the world’s fastest serial console switch but also the first-to-market with dual/quad-core Intel CPUs, bare metal booting, system configuration security checksum and Docker app capabilities. Request a NodeGrid Serial Console evaluation today! Share the post "Learn About the World’s Fastest Serial Console Switch"